CLAMP X GACKT collaborate for theater play, "MOON SAGA: Yoshitsune Hiden"! Two colossal giants in the spheres of anime and music have come together for a wild collaboration! Manga-ka CLAMP and musician GACKT have teamed up to bring an original work to life next year. 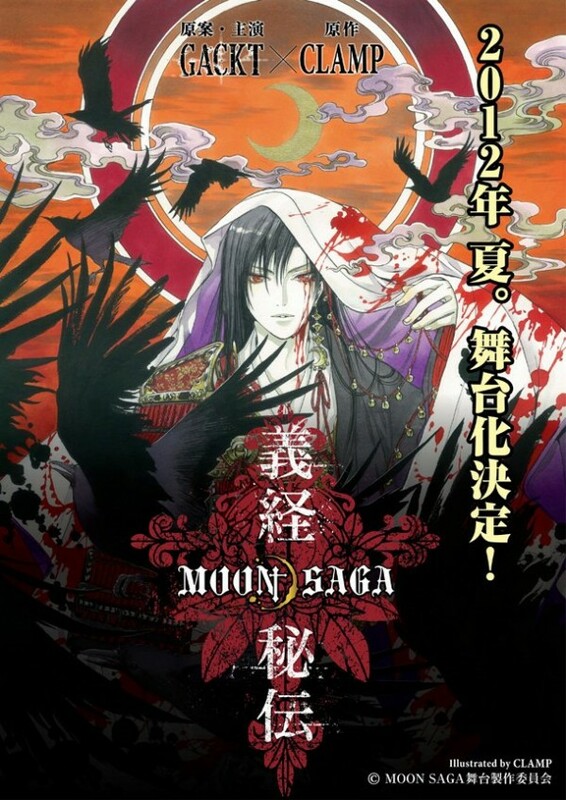 In July 2012, GACKT will star in a theatre play called 'MOON SAGA Yoshitsune Hiden' ('MOON SAGA: The Secret of Yoshitsune'). It's scheduled to run for one and a half months from July 15th to August 26th, 2012. GACKT will play the lead role of "Minamoto no Yoshitsune", a character based off the general of the Minamoto clan during the Heien and Kamakura eras. Although details about the story have yet to be revealed, it's said that the play's interpretation of Yoshitsune will have an unusual power. Aside from a theater production, a manga series is also being planned by Kondansha. They're also preparing to release an anime, game, film, and other other projects revolving around "MOON SAGA". Stay tuned to tokyohive for more info on this exciting project! mihimaru GT announces new song, "One Time"!